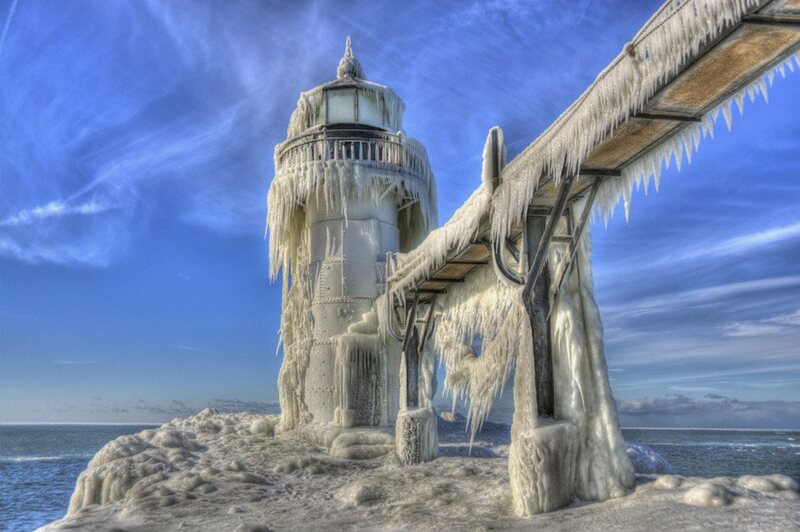 Evoking the timeless sentiment of isolation, these frozen lighthouses are a perfect symbol for the winter months. 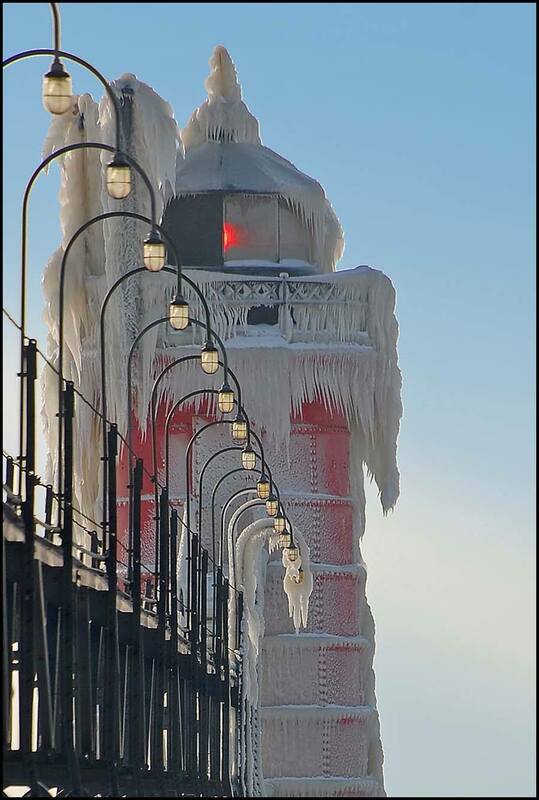 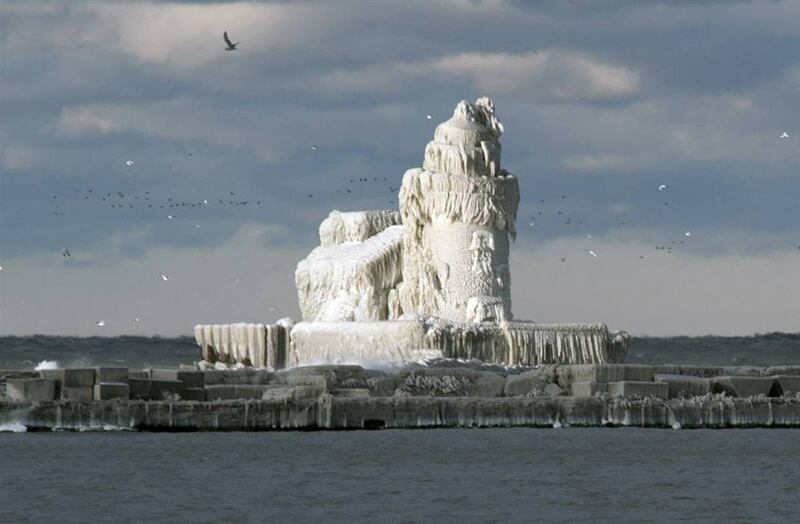 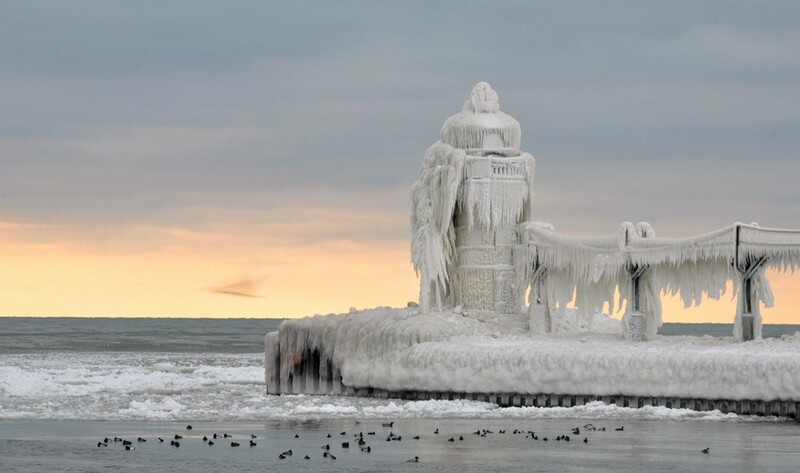 There are few sights in nature more surreal than the frozen lighthouses sprinkled about Lake Michigan and Lake Erie. 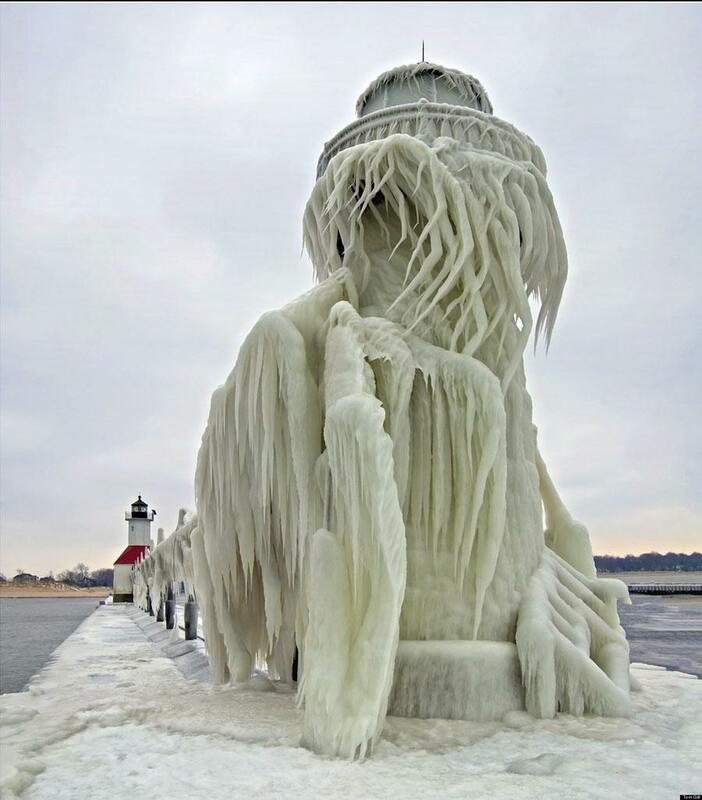 Splashing waves and frigid wintry storms transform lighthouses into accidental ice sculptures on the shores of these Great Lakes. 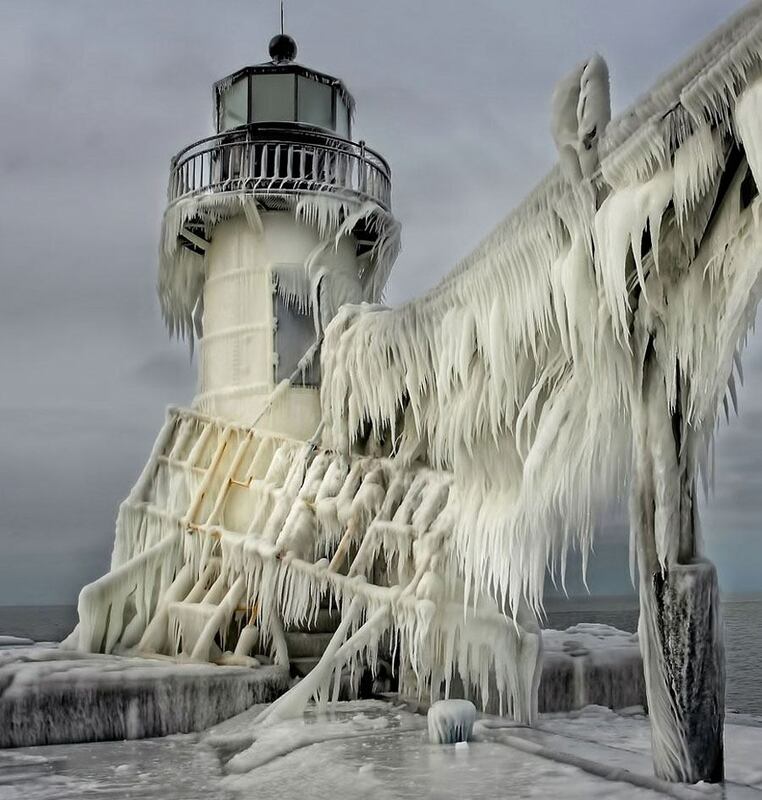 Photographers encounter treacherous conditions in their artistic pursuits. 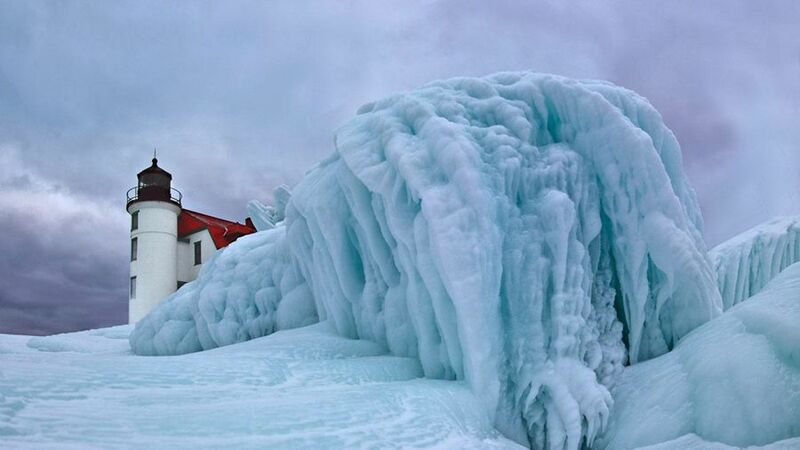 They navigate through thick, icy terrains to capture glacial monuments, frost-covered surfaces and massive, cascading icicles from just the right angles. 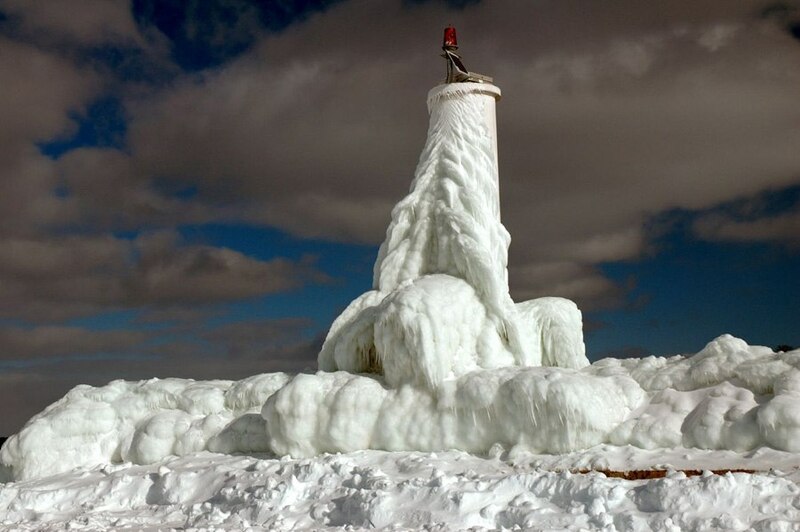 Conjuring the timeless sentiment of isolation amid a naturally stunning backdrop, these photographs are truly a sight to behold. 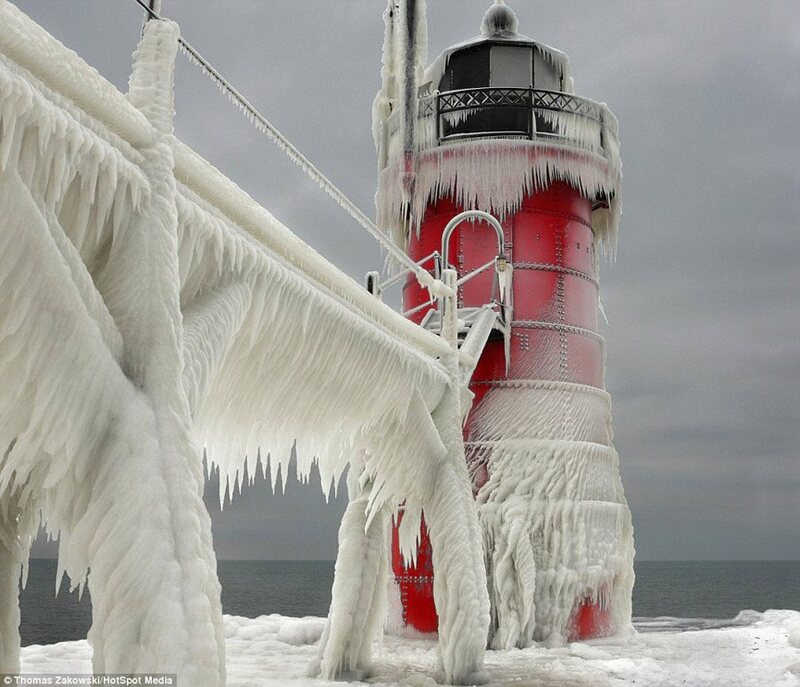 One of this phenomenon’s top photographers is Thomas Zakowski of South Bend, Indiana. 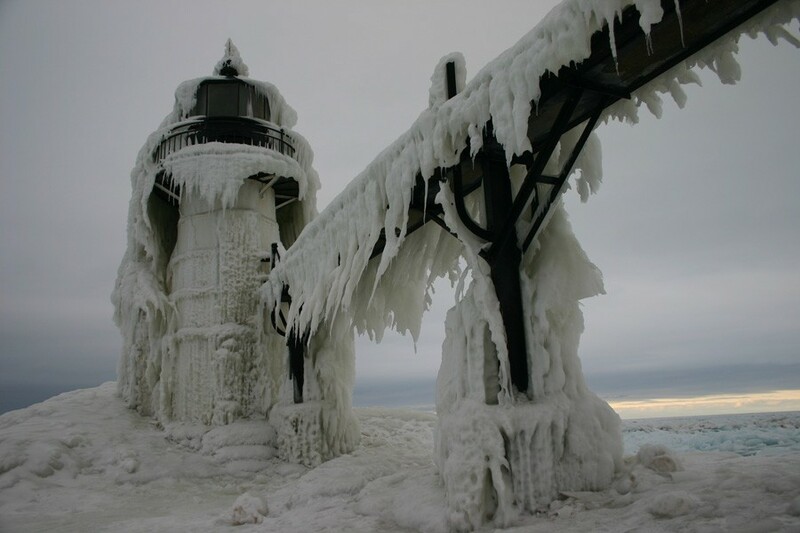 Zakowski travels to St. Joseph and South Haven, Michigan to take pictures of Mother Nature’s latest lighthouse artwork each winter. 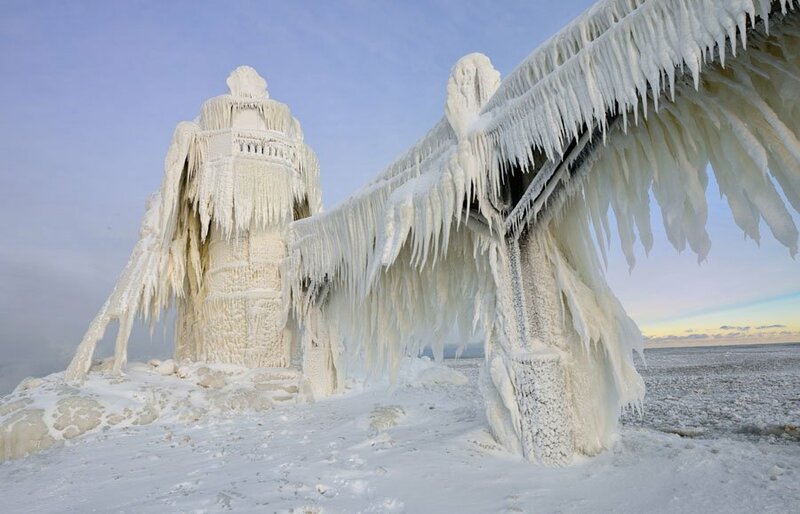 The images below consist of picturesque wintry scenes from the five Great Lakes lighthouses. 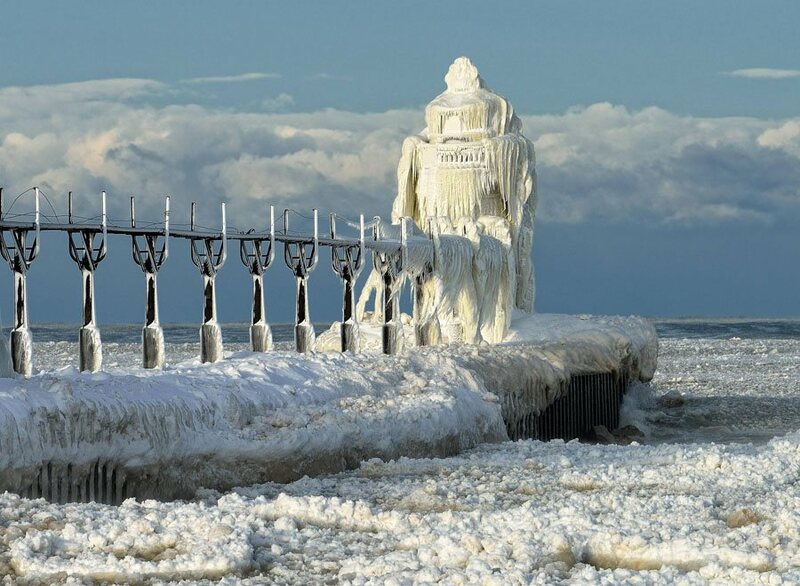 The sites include Cleveland’s West Pierhead Lighthouse, as well as Michigan’s South Haven, St. Joseph, Petoskey Pierhead, and Point Betsie lighthouses. 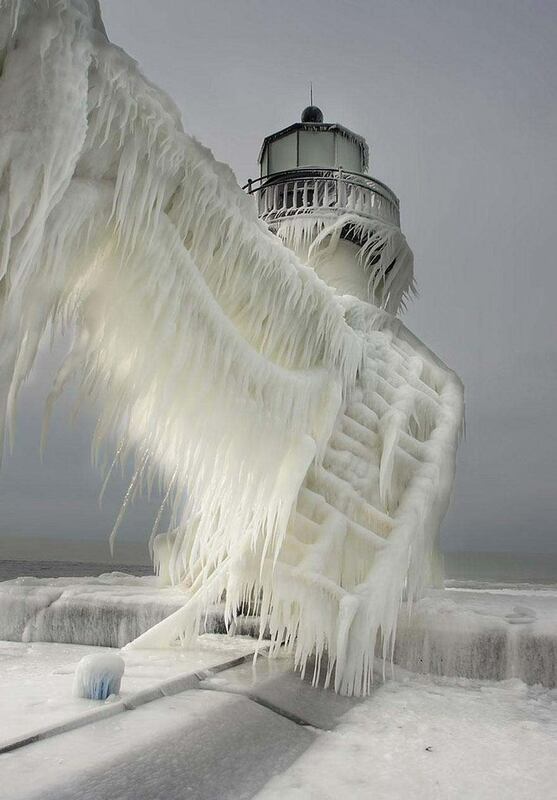 If you enjoyed these stunning photographs of frozen lighthouses, be sure to see our other posts on interesting facts and the most interesting pictures!